History travel is an amazing way to learn first-hand about significant events in the past. These destinations, New York City, Boston, Chicago and Detroit, offer a mindboggling array of places to see for history lovers. Our second article in this series will introduce you to San Francisco, San Diego, Miami, Minneapolis / St. Paul, Charleston and Savannah. Please keep in mind that the list of places mentioned is in no way complete. The Big Apple is always a favourite for history buffs. As one of the oldest cities in the US, it has great history and architecture. One of the oldest houses in NYC is the Pieter Clasesen Wyckoff House, which dates back to 1652 and the city has many other examples of 17th and 18th century architecture. New York City’s architecture is a big draw for many travellers, especially the Art Deco icons such as the Empire State Building and the Chrysler Building. I always love to visit Grand Central Terminal, a jewel of railway design that opened in 1913 and still is NYC’s most important commuter rail terminal. Not far away is the New York Public Library, which opened in 1911, holds 53 million items and is the 3rd largest library in the world. Another NYC favourite of mine is the High Line, a linear park that was built on a section of a former elevated New York Central Railroad spur that supplied the Meatpacking District. Built in the early 1930s and almost demolished in the 1980s, this elevated railroad was saved from destruction by a group of committed local volunteers and has become one of NYC’s most popular outdoor spaces. The Chelsea Market is located right next to the High Line, and this former Nabisco cookie factory (built in 1911), now houses restaurants, café and retail stores. One of my favourite places to visit is the Lower East Side Tenement Museum, which depicts the life of poor 19th century immigrants in the authentic surroundings of a 5-story tenement block that housed an estimated 7,000 people from over 20 nations between 1863 and 1935. Fascinating & extremely educational! Ellis Island is another highly educational place to learn about immigration history in the United States. The main structure here was opened in 1900, and by 1954, about 12 million immigrants had been processed here. Today, over 100 million Americans can trace their roots to family members that entered the US through Ellis Island. Another utterly fascinating experience was the Hasidic Tour of Brooklyn, which introduced me to Jewish heritage and traditions in New York City. Central Park in Manhattan (1857) and Prospect Park in Brooklyn (1867) are two masterpieces by Frederick Law Olmsted and his partner Calvert Vaux, America’s most famous landscape architects. 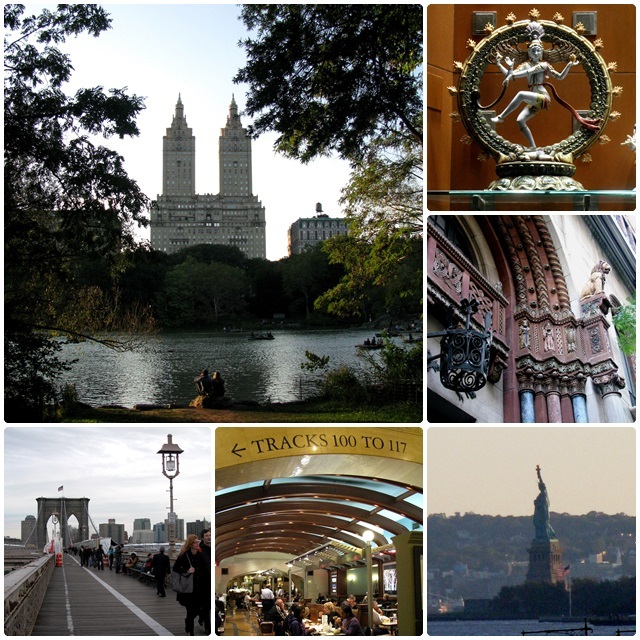 Have a peek at our New York City travel articles for more ideas about New York City travel. 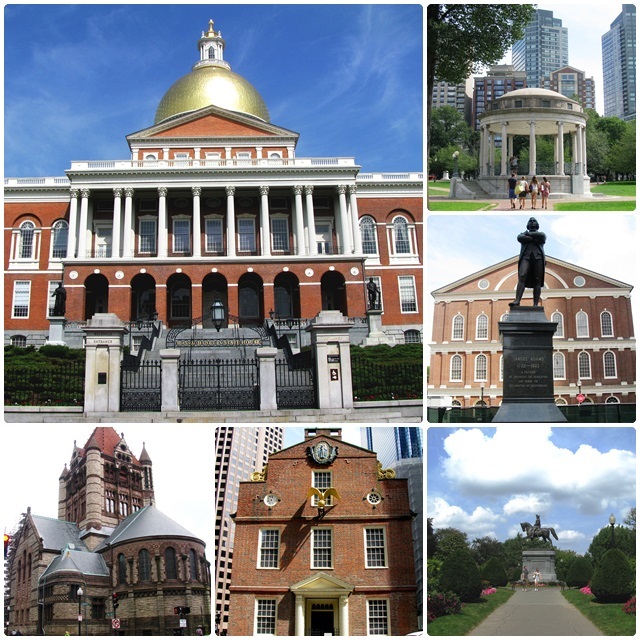 Boston is one of the oldest cities in the United States. It has some great historic districts such as Bean Hill – Boston’s upscale enclave, the Back Bay area with its fine shops and dining, and downtown with its major tourist attractions that include Faneuil Hall (1742), the Freedom Trail – a famous trail that connects 17 significant historic sites, the gorgeous Boston Public Garden – established in 1837, and Boston Common, Boston’s central public park that had its origins in 1634 and is the oldest city park in the United States. Copley Square and the magnificent Boston Public Library (1848) are among my favourite destinations in this city. The Bunker Hill Monument commemorates the Battle of Bunker Hill of 1775 which occurred during the Siege of Boston as part of the early stages of the American Revolutionary War. Boston also had the first subway system in North America (1897). The Greater Boston area has many world-renowned educational institutions, including Harvard and MIT, all historic institutions in their own right. 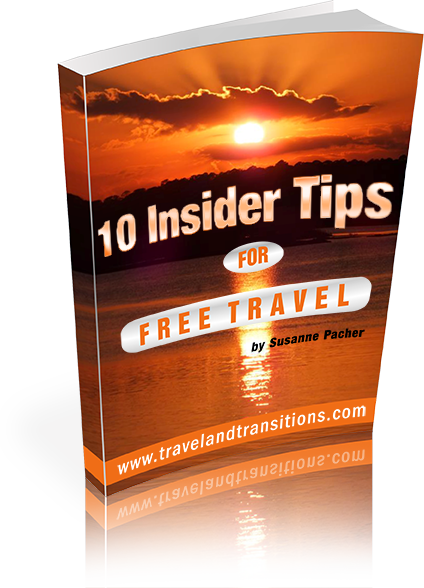 Check out some of our own Boston travel experiences. Chicago is another fascinating city with lots of history. 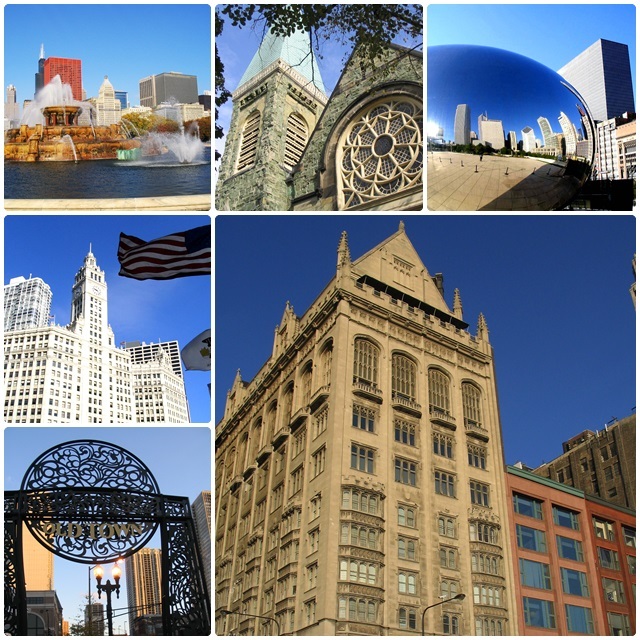 From the historic and modern skyscrapers of The Loop downtown to historic neighbourhoods such as Lincoln Park and Chicago’s Chinatown, there is just so much history to uncover in Chicago, not even to mention Al Capone and the 1930s mafia connections. The historic Museum Campus encompasses some of the city’s most notable museums, including the Field Museum of Natural History, the Shedd Aquarium and the Adler Planetarium. 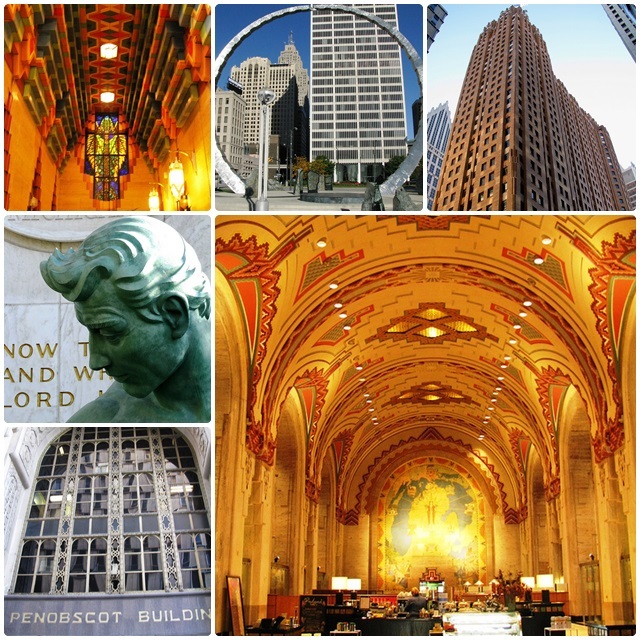 Architecture lovers will enjoy Chicago’s connection with Frank Lloyd Wright as well as other famous architects such as Burnham & Root, Holabird & Roche and Mies van der Rohe. Chicago has also played a huge role in African-American history, with famous connections such as jazz great Louis Armstrong, civil rights activist Ida B. Wells, novelist Richard Wright and civil rights leader Dr. Martin Luther King. Chicago also has many historic green spaces, including Grant Park (1901). Chicago’s lakefront was protected by Daniel Burnham’s 1909 Plan of Chicago and has evolved into one of the best waterfront spaces in all of North America. Navy Pier was originally used as a commercial pier and for entertainment when it opened in 1916. Today, it is a major entertainment centre and features a Ferris Wheel, the Chicago Shakespeare Theatre, an Imax Theatre and much more. In addition, the Pullman Historic District, a Chicago landmark on the National Register of Historic Places, was the first master-planned industrial district in the US. Built by the Pullman Company to house its employees, it has a fascinating history that includes the violent 1894 Pullman Strike. Detroit is an astounding destination for history buffs, as it truly chronicles the boom and bust cycles of the 20th century. A visit to Detroit will take you through the heydays of automotive manufacturing and the long decline brought on by de-industrialization, white flight and racial strife. Although far removed from its status as a historically wealthy city, Detroit still has a marvellous collection of early 20th century architecture, including the Penobscot Building, the magnificent Guardian Building (the “Cathedral of Finance”) and the Fisher Building, a 1928 skyscraper. Art Deco lovers, in particular, will enjoy a visit to Detroit. The Michigan Central Station, although abandoned and derelict today, is a 1913 masterpiece of Beaux Arts Railroad construction and was once the tallest railway station in the world. Detroit also played an important role as part of the Underground Railroad. The Heidelberg Project is an outdoor art installation in a historically African-American neighbourhood of Detroit. It consists of a series of painted houses that are adorned with salvaged every-day items and was created in 1986 by a local artist to protest the decline of Detroit. Detroit is also the birthplace of Motown and was a hotbed for soul music in the 1960s. Originally opened in 1841,Detroit’s Eastern Market is also on the National Register of Historic Places and still hosts about 45,000 shoppers every Saturday. Check out our Detroit travel article series for our unique insights on Detroit.